Archimandrite David [Mahaffey] was elected by the members of the Holy Synod of Bishops of the Orthodox Church in America to fill the vacant Episcopal See of Sitka and Alaska on Oct. 16, 2013. We offer Fr. Michael Oleksa’s reflection on this occasion. The Orthodox Christian Faith, which traces directly to Jesus Christ and His Apostles, began historically in the ancient Middle East with entire nations accepting Christianity in the first eight centuries A. D., among them Greece, Cyprus, Palestine, Georgia, Egypt and Armenia. 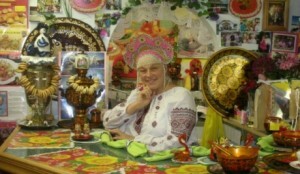 The Slavic tribes of Eastern Europe embraced the Faith in the ninth and 10th centuries and, as they ventured into North Asia, brought Orthodox Christianity to the Siberian peoples. In 1794, the first Orthodox monks arrived in Kodiak and began the evangelization of the Alutiiq and Tana’ina peoples, reaching the shores of the Bering Sea before 1800. 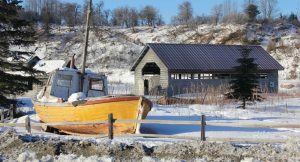 The first Alaska Native schools, with classes in the local languages, were started at Kodiak in 1804, and at Unalaska in 1824, followed by Sitka in 1834 and Russian Mission in 1844. So the Orthodox Church has been part of the history and culture of Alaska for over 220 years. 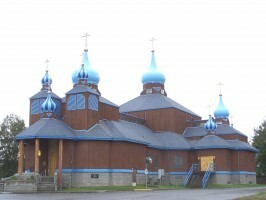 Today, with Cathedrals at Sitka, Anchorage, Unalaska and Kodiak, and nearly 100 churches and chapels across the southern half of the state, with a seminary at Kodiak as well, the Orthodox Diocese of Alaska is the “mother church” for the millions of Orthodox Christians in Canada, Mexico and the United States. 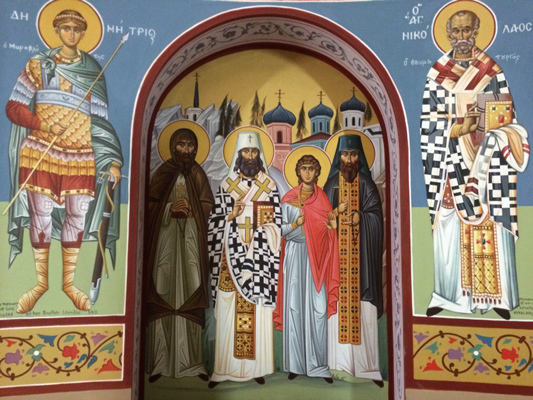 Alaska is also the home of a great concentration of holy men and women who have been included on the canon, the official list of saints, whose memory is celebrated by the entire Orthodox Communion in fifteen administratively self-governing Churches: Jerusalem, Antioch (Syria), Alexandria (Egypt), Constantinople (Turkey) Russia, Serbia, Georgia, Bulgaria, Romania, Cyprus, Albania, Greece, Poland, the Czech Republic and Slovakia, and the youngest, the Orthodox Church in America. 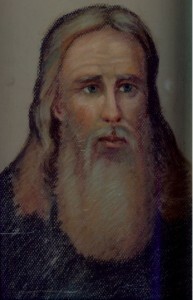 St. Herman, one of the original missionaries who arrived in 1794, traveled from Finland with nine other volunteers and spent his life ministering to the Kodiak Alutiiq people. They built a memorial chapel over his grave on Spruce Island, which became a place of prayer and pilgrimage, and the site of many miracles, leading to his canonization in August 1970 as the first Orthodox saint in the New World. St. Innocent Veniaminov arrived as a married priest at Unalaska in 1824 and created an alphabet for Unangan Aleut, producing translations of the Gospel of St. Matthew and other religious texts for the school he founded there with the help of the local chief, Ivan Pan’kov. Veniaminov was transferred to Sitka and learned Tlingit and devised an alphabet for it; he built a school and designed St. Michael’s Cathedral there. He sent Elia Tizhnev to Kodiak to begin translation work among the Alutiiqs. He assigned the Aleut priest Jacob Netsvetov to his home region where Netsvetov (St. Yakov) continued educational and translation work at Atka, later mastering Yup’ik and doing extensive evangelical work at Ikogmute (“Russian Mission”) on the Yukon. St. Innocent later became bishop of Yakutsk in Siberia and learned that language as well, founding schools and publishing books there for the people of the Sakha region. 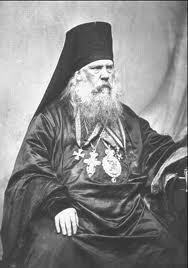 Elected archbishop of Moscow, Veniaminov ended his days building the largest Orthodox cathedral in the ancient capital, where he died in 1879. St. Seraphim Samoilovich and St. Basil Martysz both labored for many years in Alaska but returned to Europe early in the 20th century, where they were martyred for their faith, the first shot by the communists in Siberia in 1934, the latter killed in Poland in 1945. St. Juvenaly and his Athabaskan companion were killed at Quinhagak probably around 1794, while St. Peter (Chungagnak) from Kodiak Island was murdered in Spanish California around 1814. St. Tikhon (Bellavin) from Russia served as Bishop of “the Aleutian Islands and North America” at the turn of the last century and became Patriarch of Russia in 1917. Arrested, tortured and imprisoned by the Bolsheviks, he died in prison in 1925, but he too, lived and served in Alaska. So when Father David Mahaffey is consecrated at St. Innocent Cathedral, he isassuming responsibility for a faith community that has been in Alaska and played an important role in the history and development of this land for many generations. 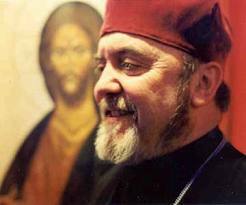 He succeeds remarkable and amazing, as well as pious and holy, men who have laid the foundation and built the many Orthodox churches that stand as National Historic Sites across the state, and he will have the intercessions of all these saints to guide and protect him as he continues their sacred work. I Didn’t Even Need a Passport!